The quest for pinpointing the exact location of the Biblical Garden of Eden and the four rivers is lasting more than two millennia, almost rivals the quest for the location of Atlantis, both in theory and in practice. Those searches for Eden had proven difficult due to uncertainty in identifying the rivers. Nobody had been able to look at modern maps of the regions mentioned in Genesis and figure out exactly where the Garden of Eden was. At the head of the Persian Gulf by the present topography, only one river of the four, the Euphrates (Perat), is known by the same name in modern times. It presently originates in the mountains of Turkey and terminates when it merges with the Tigris River near the Iraq/Kuwait border region. Many have speculated that the Tigris is the river Hiddekel. This has led to speculation that the Garden of Eden was located somewhere in Turkey. This is assumed because the present headwaters of the Euphrates River originate in Turkey, as do the headwaters of the Tigris. Others have proposed that the other end of the Euphrates River, where it meets the Tigris, may be the true location. This requires interpreting the Tigris river as one of the other three (ie the Hiddekel), then interpreting a tributary confluence of rivers as a river head, and then locating at least two more rivers (or old river beds) as the other missing two. Having done so, they then claim that the Garden of Eden was near present day Kuwait. This is a convenient solution, but not one supported by the literal wording of the Bible or the geological and geographical realities of what river “head” means, ie headwaters or source of origin. 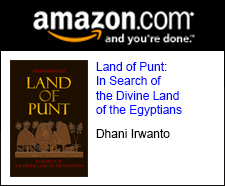 Several clues indicate that the Pishon and Gihon were located in Egypt or Arabia. The name Havilah, where the Pishon river is said to flow, means “sandy land” (Sarna, 1991). To an ancient Israelite audience, the explicit reference to an abundance of gold and precious stones evokes images of the Egyptian royalty from which they were birthed. This association also fits with the reference to “Kush”, identified later in Genesis as one ancestor of the Egyptians, hence it is believed the Gihon to be the famous Nile River. However, if these were indeed the Pison and Gihon rivers, two of four that flowed out of the Garden of Eden, they do not correspond with the present-day headwater source of the Euphrates or Tigris up in Turkey. The respective watersheds of the Tigris/Euphrates and Nile rivers are separated by hundreds of miles, and these rivers are fed by completely different mountain ranges. So, where was the Biblical Garden of Eden located? 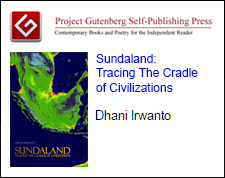 It was in Southeast Asia that man, after emigrating from the semi-deserted savannas of Africa, first found the ideal climatic conditions for development, and it was there that he invented agriculture and civilization. All this took place during the Pleistocene, the last of the geological eras, which ended a scant 11,600 years ago. With the end of the Pleistocene Ice Age, the immense glaciers that covered the whole of the northern half of North America and Eurasia melted away. Their waters drained to the sea, whose level rose by the estimated amount of about 100 – 150 meters (dos Santos, 2005). 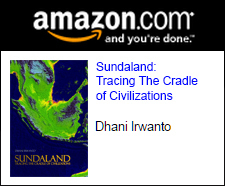 As the Ice Age ended, there was sea water rise drowned forever the huge continental shelf of Southeast Asia, namely the Sundaland, and caused a population dispersal which fertilized the Neolithic cultures of China, India, Mesopotamia, Egypt and the eastern Mediterranean, thus creating the first civilizations. There were three catastrophic and rapid rises in sea level. The last of these, which finished shortly before the start of civilization in Mesopotamia, may have been the one that was remembered. The Southeast Asian contributions to the building of the first cities in Mesopotamia may not have been solely technological. While they may have brought the new ideas and skills of megalithic construction cereal domestication, sea-faring, astronomy, navigation, trade and commerce, they may also have introduced the tools to harness and control the labor of the farmers and artisans. These included magic, religion, and concepts of state, kingship and social hierarchy. Uniquely shared folklore shows that counterparts and originals for nearly every Middle Eastern and European mythological archetype, including the Flood, can be found in the islands of Indonesia and the southwest Pacific. Southeast Asia is revealed as the original Garden of Eden and the Flood as the force which drove people from Paradise (Oppenheimer, 1997). The land of Shinar is identified as Mesopotamia. The name may be a corruption of Hebrew Shene neharot (“two rivers”), Hebrew Shene arim (“two cities”), or Akkadian Shumeru. The people of Mesopotamia were a dispersal from Southeast Asia (“the east”) caused by catastrophic and rapid rises of sea level in Sundaland (“they journeyed from the east”). Their land of origins, Eden, was therefore in Sundaland (“a garden in the east, in Eden”). The Lord God created the Garden of Eden specifically for Adam, the first man, whom Lord God had formed. Thus, the Garden of Eden was perfect. It offered both beauty and sustenance, being home to every tree “that is pleasant to the sight and good for food” and a source of freshwater from the river to drink. The Garden of Eden could not be found because everyone had been looking in the wrong place. 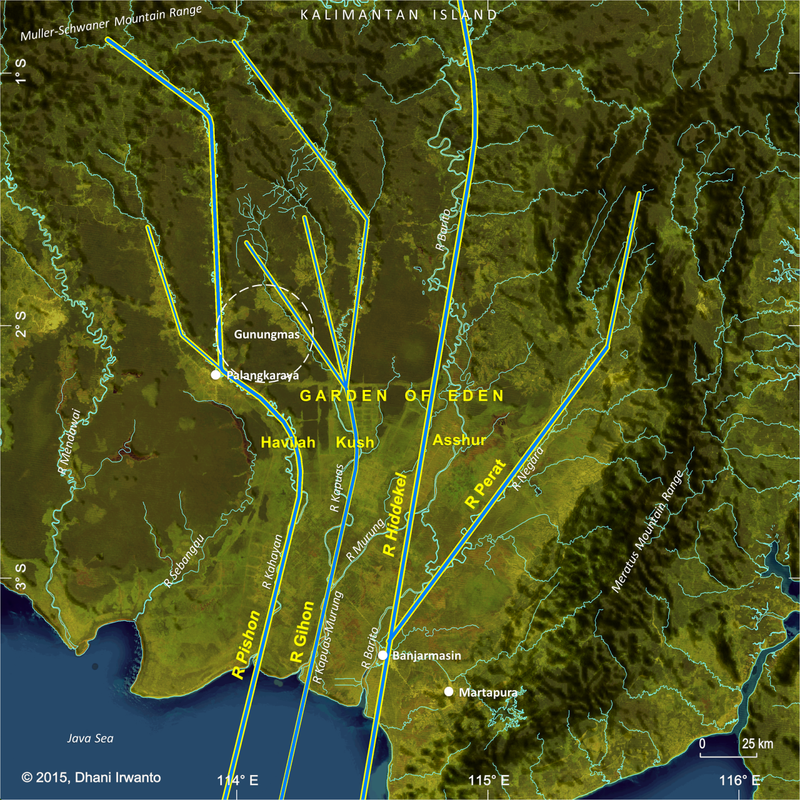 In a hypothesis, the author identifies a location of the Garden of Eden as a vast plain surrounded by mountain ranges in southern part of Kalimantan Island, as shown on the figure below. The Indonesian territory of Kalimantan makes up 2/3 of Kalimantan Island. Well known for its tropical forests, rich natural resources; and exotic, endemic and diverse flora and fauna, Kalimantan offers a unique, unexplored world of its own. This territory has a number of nature reserves to protect its unique flora and fauna. Kersikluway is where the very rare Black Orchid (Colongenia Pandurata) grows, located upstreams the Mahakam River, East Kalimantan. Bontang, in the regency of Kutai, has rare flora and fauna. The Kutai National Park near Bontang is worth visiting to see scenery especially those at Berasbasah. Tanjungputing National Park in Central Kalimantan is the oldest conservation site of Kalimantan’s flora and fauna. The park is inhabited by Orangutans, Owa-owa, Bekantan and other primates. Also found here the Orangutan Rehabilitation Center which is supported by the World Wildlife Fund (WWF). In West Kalimantan, Gunungpalung National Park located in the Ketapang regency is home to miscellaneous flora and fauna. The Rayapasi mountain located in the Singkawang regency is also an interesting place to visit to see the Rafflesia or giant flower. Singkawang is also a nature reserve. The forest of Sanggau is worth a visit where hot springs, lakes and caves can be found. The other nature reserves are the forests of Baning and Kelam Hill in the Sintang regency. While in Kapuashulu, there is the Bentuang forest. In South Kalimantan, there is the Kaget island, home to a wide variety of birds and monkeys, most notably the humorous longnosed proboscis monkeys. The region hypothesized as the Garden of Eden is populated by the Dayaks, the indigenous inhabitants of Kalimantan. The center of the region is covered with tropical forest, which produces rattan, resin and valuable timber such as Ulin and Meranti. The southern lowlands are dominated by peatland swamps that intersect with many rivers. The region’s climate is wet weather equatorial zone with an eight-month rainy season, and 4 months of dry season. Rainfall or precipitation is 2,800 – 3,400 mm per year with an average of 145 rainy days annually. The Muller-Schwaner Mountains stretch from the north-east of the region to the south-west, 80% of which is covered in dense forest, peatland swamps, mangroves, rivers, and traditional agriculture land. Highland areas in the north-east are remote and not easily accessible. Non-volcanic mounts are scattered in this area including Kengkabang, Samiajang, Liangpahang and Ulugedang. The Meratus Mountains are situated approximately along the eastern part of the region. The mountains have mist-laced, river-crossed peaks, dense jungles, steep valleys and jagged karst formations. The mountains are inhabited by the “semi-nomadic” Meratus Dayak people, whose strong religious customs play to the soundtrack of the shaman’s drum. The above descriptions indicate that the region deserves to be called as the Garden of Eden as in the Bible. The Bible says that “a river ‘going out’ of Eden” and then does something that most rivers do not do; specifically, split into four separate ‘heads’ or rivers that flowed downstream, all fed from a common single river source. Almost all rivers start from a single source or are fed by multiple sources (tributaries). The verb in Hebrew is a present participle instead of the imperfect. Also, a noun phrase at the beginning of a verse is unusual. Again, the words “and from there” come before the verb “was parted” show that this verb has no subject expressed. The naming of the Biblical rivers was allegedly derived from the geographical alignment of the rivers. The numbering of the rivers was also in accordance with the order, from west to east. The simple present form of the verbs denotes that the conditions are not changed overtime. The four rivers are identified as Kahayan for Pishon, Kapuas for Gihon, Barito for Hiddekel and Negara for Perat as in the above figure, as discussed below. The Hebrew name for Phison is Pîšōn (פִּישׁוֹן) which means “increase” (noun) and could be derived from pûsh (פּוּשׁ) which means “to spring about”, “to be dispersed”, “to be scattered” or “to be spread”. When applied in the alignment of the river, this could mean that the river is “dispersed”, “refracted” or “deflected”. Looking at the geography of the region, the Kahayan River is deflected westward, as seen from downstream side. At about the middle of Kahayan River, that part of the river is winding. The winding of a river signify that the topography where the river traverses is flat and tends to be used as a center of community. So that Havilah could be at this site. Havilah is described in lengthiest in Bible compared to the other places in the Eden, implies that this place is the most important or populated among the others. This place can be easily accessible from the southern coast through Kahayan River for the outsiders to visit. The present capital of Central Kalimantan Province, Palangkaraya, is situated in the area too. The Bible says that there is gold in Kavilah and the gold is good. Kahayan River is renowned for its gold mining. A place named Gunungmas, meaning “the hill of gold”, in the middle of Kahayan River, is rich of gold and some other minerals such as silver, copper, iron, zinc, tin, platinum and zircon. Today, the gold reserves in the area are approximately 45 million tons. Besides some other classic names of the island, Kalimantan bore the name of Nusa Kencana meaning “the island of gold”, probably at Gunungmas as this site is easily accessible from the southern coast through Kahayan River. Gold and zircon are abundant in southern Kalimantan as these are the mainstay of the region at this time. The Bible mentions “bedolach” as a product of Kavilah. Its Hebrew word is bedôlach (בּדלח), probably derived from bâdal (בּדל) meaning “to divide” (in various senses literally or figuratively, “separate”, “distinguish”, “differ”, “select”, etc) or a foreign word. “Bedolach” is among the Biblical words which the meanings are unclear. According to the Septuagint, is the carbuncle or crystal; according to others, the pearl, or a particular kind of gum. The last is the more probable, regarding the various Greek forms of the word bdella (Βδέλλα) and bdellion (Βδέλλιον), a semi-transparent oleo-gum resin. Southern Kalimantan is renowned for its producer of natural gum sap locally known as “jelutung” (Malaysian “jelutong”) tapped from the same name of trees (Dyera spp) and is the largest exporter of the commodity in the world. Its natural distribution is scattered locales in low-elevation tropical evergreen forest. The kind of tree which grows in the swamp (Dyera pollyphylla) is an important source of chewing gum. Besides, “jelutung” sap is an industrial material for adhesives, varnishes, racing tires, waterproofing and insulating materials. This region is also famous for a gutta-percha tree locally known as “nyatoh” or “nyatu” (Palaquium spp). Its habitat is coastal, lowland mixed dipterocarp, swamp and montane forests. Dayak communities in the region utilizing “nyatu” sap as a raw material for making handicrafts, from an epithet that can only be found in the region. The Bible mentions “gemstone”, also as a product of Kavilah. Its Hebrew word in the Bible is shôham (שׁהם) from an unused root probably meaning “to blanch”; “a gem” or “a precious stone”. The story of Kalimantan’s rich gemstone resources has reached worldwide fame. Kalimantan, as they are known in the past and the West, is indeed the sources of many natural gemstones and have been documented well in many literatures. Amethyst or locally named “kecubung”, a violet jewel, is specifically found and renowned in southern Kalimantan. A place named Martapura located in the region is famous from the early past for its jewelry industry. Zircon – a gemstone with natural colors varies between colorless, yellow-golden, red, brown, blue, and green – is abundantly found along the alluvial deposits of inland rivers in southern and western Kalimantan, as a byproduct of gold mining activities. The Hebrew name for Gihon is gı̂ychôn or gichôn (גּחון גּיחון) which means “bursting forth”, could be derived from primitive root of gı̂yach or gôach (גּח גּיח) which means “to gush forth (as water)”, “to burst forth”, “to draw forth”, “to bring forth” or “to break forth”. When applied in the alignment of the river, this could mean that the river is multiply “broken forth”, “come apart”, “divided” or “branched”. Looking at the geography of the region, the Kapuas River is evenly branched into three tributaries that look like a burst. At the confluence of the tributaries and at a distance downstream, that part of the river is winding. Kush could be at this site and could become the second important place after Kavilah. The Hebrew name for Hiddekel is chiddeqel (חדּקל) which means “rapid” or “darting”, probably derived from chad dékel (דֶּקֶל חַד) meaning “a sharp and swift arrow” (Keil and Delitzsch), or of foreign origin. When applied in the alignment of the river, this could mean “a swift arrow trajectory”, “a long and direct trajectory” or simply “long and direct”. Looking at the geography of the region, the Barito River is long, direct and almost straightly aligned. The verb “goes” is applied instead of “winds” as in the other two rivers, implies that the river is in direct or straight alignment. The Bible says that Hiddekel goes in front of Asshur. The Hebrew word qidmâh (קדמה) can mean “in front of”, “over against” or “on the east of”. So, instead of “goes in front of Asshur” the phrase can be interpreted as “goes on the east of Asshur”. The Hebrew name for Perat is perâth (פּרת) which means “to break forth”. When applied in the alignment of the river, this could mean “to diverge” or “to branch”. Looking at the geography of the region, Negara River is a branch or tributary of the Barito River. The Bible decreases the description of this river, without explanation of the alignment or a nearby place name, and puts it in the last order. This could mean that Perat is the least important river compared to the other three in the region. Perat is generally associated with the Euphrates, the Greek manner of pronouncing the Hebrew perâth, the first syllable being simply a help in sounding the double consonant. Also, Perat finds its equivalent in the Assyrian Purattu and the Old Persian Ufratu. Names similar to these may be found in various places. They cannot prove much more than resemblance in language, and that may be sometimes very remote. Several like names occur in profane history. Geography affords numerous examples of the transference of names from one place to another along the line of migration. We may therefore expect names to travel with the tribes that bear them or love them, until they come to their final settlements. The Genesis flood narrative makes up chapters 6–9. The narrative indicates that God intended to return the Earth to its pre-Creation state of watery chaos by flooding the Earth because of humanity’s misdeeds and then remake it using the microcosm of Noah’s ark. Noah in Hebrew is nôakh (נוח), from the root n-w-ḥ (נ־ו־ח) or n-ḥ (נ־ח); and pronounced Aramaic nuħ. It is highly probable that Noah and Manu, the name of the flood hero in the traditions of India, were the same individual. Manu, like Noah, is said to have built an ark in which eight people were saved. Manu and Noah were both the father of all post-flood mankind. The Noah Flood story in Genesis matches the Gilgamesh flood myth so closely that “few doubt that it derives from a Mesopotamian account”. The word Manu is related to the Germanic Mannus, the founder of the West Germanic peoples, mentioned by the Roman historian Tacitus in his book Germania. Mannus is also the name of the Lithuanian Noah. 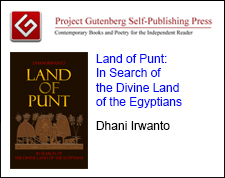 The same name may even be reflected in the Egyptian Menes (founder of the first dynasty of Egypt) and Minos (founder and first king of Crete). Minos was also said in Greek mythology to be the son of Zeus and ruler of the sea. Anu appears in Sumerian as the god of the firmament, and the rainbow was called “the great bow of Anu”, which seems a clear reference to Noah. In Egyptian mythology Nu was the god of waters who sent an inundation to destroy mankind. In southern Kalimantan folklore, Maharaja Bunu is the first man who inhabited the region. The Sanskrit form manusa, Indonesian manusia, Swedish manniska, Gothic manna and English man are closely related, meaning “human being”. The aboriginals of Japan are called Ainu, a word which also means “man”. In the Sioux language, it took the form minne, meaning “water”. In the Assiniboine language, minnetoba meant “water prairie”. However, this word may also have been derived from the Cree and Ojibiva-Saulteaux languages, which meant “the place of the Great Spirit”. Manitou (“the Great Spirit”) was the chief god among Algonquins. The name of Managua, the capital of Nicaragua, comes from the Nahuatl managuac, which means “surrounded by ponds”. 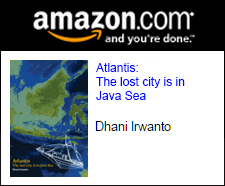 The ancient Javanese banu and the Dayak Barito banyu mean “water”. There is Ino, a sea-goddess in Greek mythology, and the Greek word naiade, meaning “river nymph”. 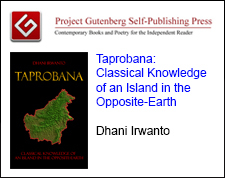 Further, Baruna or Waruna in the Indonesian archipelago which given the title of the Water God, is the ruler of the seas and oceans – in later time considered as a manifestation of Brahman in dharmic mythology. The original Sanskrit word for “ship” is nau. This root has developed even in English into such words as “navy”, “nautical”, “nausea”, etc. In Norse mythology, Njord was the god of ships, living at Noatun, the harbor of ships. In this language, the syllable “noa” is related to the Icelandic nor, meaning “ship”. Thus, Noah and the waters of the great Flood are not only recalled in the ancient traditions of all nations, but their names have also become incorporated in many and varied ways into the very languages of his descendants. The trails are tenuous and often almost obliterated, so that some of the inferred connections are speculative and possibly mistaken, but the correlations are too numerous to be only coincidental, thus adding yet one more evidence for the historicity of the worldwide flood. 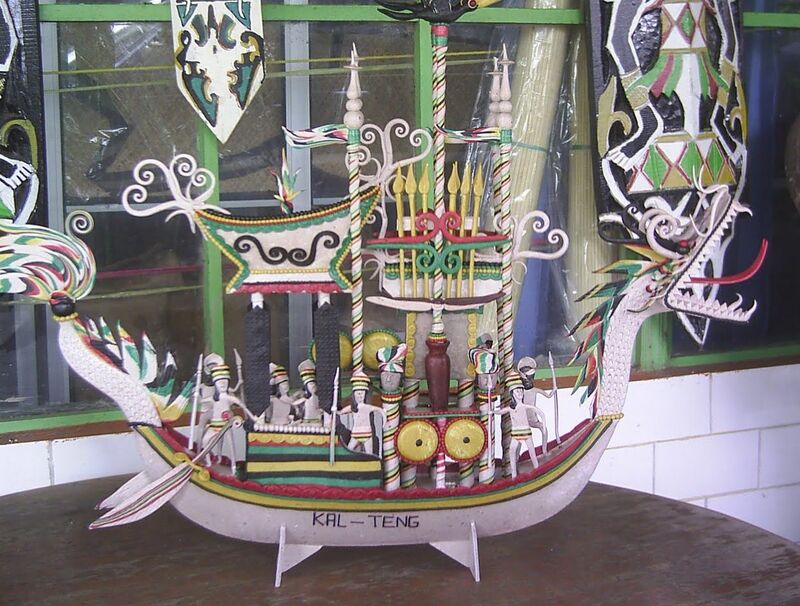 The local folklore of southern Kalimantan tells a story resembles the Noah. In Panaturan, the sacred folklore of Ngaju Dayak inhabiting southern Kalimantan region, the first human who descended to this world is named Maharaja Bunu. At first he lived in a divine world at Lewu Nindan Tarung with his triplets namely Maharaja Sangiang and Maharaja Sangen. The triplets are the children of Manyamei Tunggul Garing Janjahunan Laut and his wife Kameloh Putak Bulau Janjulen Karangan, the first humans that were created by Ranying Mahatala Langit, the supreme God. 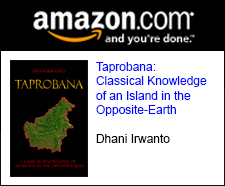 Maharaja Bunu was descended to Pantai Danum Kalunen (this world) using a ship namely Palangka Bulau Lambayung Nyahu or simply Palangka, on Samatuan Hill, from where his descendants were spread out to fill the earth. According to Panaturan, the hill is located between Kahayan Rotot and Kahayan Katining. The Palangka was loaded with supplies necessaries for life, such as farming and hunting tools, weapon making tools, rice seeds, fruit and plants seedlings, as well as livestock breeds. Palangkaraya, meaning the Great Palangka, is now the capital of Central Kalimantan Province. A vast plain dominates the topography of the southern Kalimantan region which is level, smooth and even. The slope of the ground surface is mostly less than 1% declining southward towards the Java Sea and almost no visible mound on the whole plain. The area of the plain is located in a tropical rain forest region, has high precipitation rate over the year, has warm temperature over the year, mostly swampy and has many large rivers and tributaries so that the region is fertile and rich of food and daily necessity resources. Rivers are flowing on the plain; Barito, Kapuas, Murung, Kahayan and Sebangau Rivers are among them. The regimes of these rivers should have been changed over the past thousands of years due to processes of flooding, sedimentation, river bed movement and meandering on a very flat plain. Interchanges of flows and orders among the rivers might also occur. Numerous transverse passages connecting one river to the other exist in the region, some of them were built or rehabilited in recent times. The passage is known locally as “anjir”, a canal linking two rivers as part of the transportation network. The canals are also used as primary tidal swamp irrigation canals supplying water to and draining from the cultivated lands. The plain is elevated from 0 to about 40 meters above the average sea water level. Being in a flat and low plain, the tidal affect of the sea may reach as far as 160 kilometers away from the coast. In Genesis 7:12-20: “The flood was on the earth forty days, and the water increased and lifted up the ark, so that it rose up above the earth. The water prevailed and increased greatly upon the earth, and the ark floated on the surface of the water. The water prevailed exceedingly on the earth, and all the high mountains that were under the whole heaven were covered. The waters prevailed upward and the hills were covered fifteen cubits deep.” 15 cubits is approximately 23 feet or 6.8 meters. Kalimantan Island is among the regions on the Earth having the highest yearlong rainfall. The probabilistic study of rainfall in the region of southern Kalimantan showed that it may reach as high as 500 millimeters per day for a 100-year return period and even higher on the mountainous regions. Its rainfall catchment region is a bulb-like shape where the mountainous upstream area is wider – with highest rainfall – and the downstream, on the plain, is narrower. Therefore, flood catastrophe risk on this plain is extremely high, aggravated by its catchment shape, rainfall distribution, rainfall intensity; level, even, smooth and low plain; and farther reach of sea tides. Everyone can imagine how worst was the extraordinary Biblical Flood from a 40-day and 40-night rainfall on this region. The Noah Flood could have happened here. Due to the high level of flood risk in the region, it was possible that the floods had several times repeated for the recent thousands of years. Civilization that grew back after the flood will be swept back in the next flood, returned to its original nature and humanity who survived spread to other parts of the world. Garden of Eden and Atlantis are among the memories by the Mesopotamian and Egyptian about the land of origin of the first civilization, before population dispersal caused by catastrophic and rapid rises in sea level in the Pleistocene Ice Age. Mesopotamia and Egypt are among the oldest civilizations after the Ice Age which had writing traditions. Other civilizations continue their memories with myths and legends that collectively share the same stories across distances and time. • The four rivers of Eden are reflected in the four waterways of Poseidon the island capital of Atlantis. • Atlantis started with ten kings and the Bible speaks of ten patriarchs. • Zeus destroyed Atlantis because mortals and gods mated, whereas the Bible records the mating of the “sons of God” and human females. 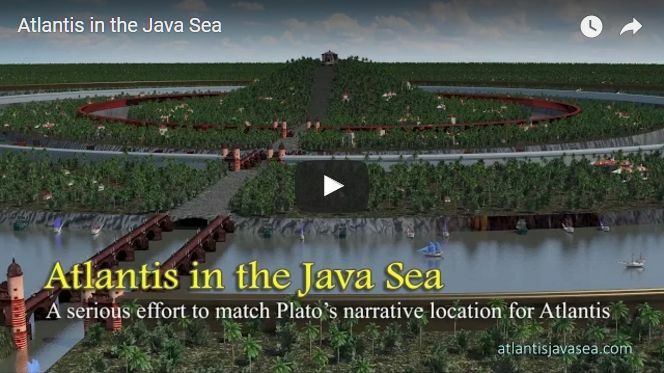 • Atlantis was flooded just as the Age of the Patriarchs ended with the flood of Noah. Copyright © Dhani Irwanto, 2015. All rights reserved. Copyright © Dhani Irwanto, 2015-2019. All rights reserved.